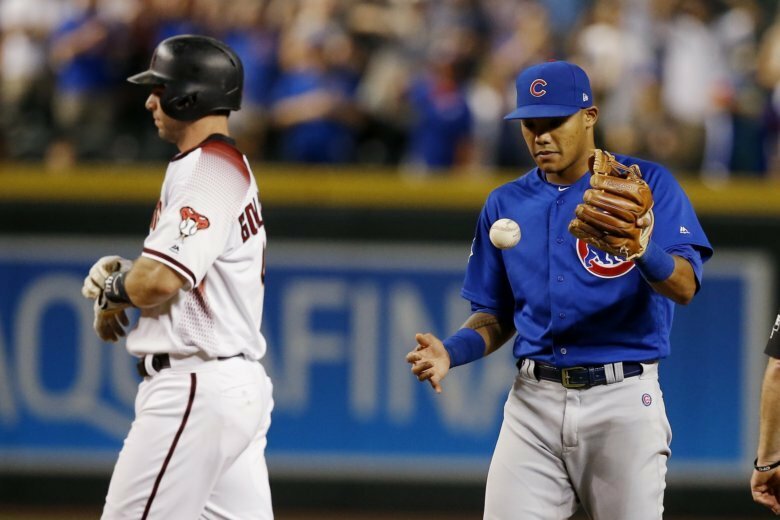 CHICAGO (AP) — Chicago Cubs shortstop Addison Russell was placed on administrative leave Friday following fresh allegations of domestic violence from his ex-wife. While refusing to speculate on specifics or Russell’s future with the team, Cubs President of Baseball Operations Theo Epstein and owner Tom Ricketts said the team will cooperate with the investigation. They also said they are prohibited from taking their own steps under MLB’s domestic abuse policy.